A keynote that energizes and inspires is what Andrew can deliver. His experience in the world of media, agriculture, business & communications all collide into real stories that hit home. A workshop that builds confidence and knowledge is what Andrew can deliver. From real examples & interactive exercises, customized to any skill level, these workshops make a half day fly by. We’ve got headshots and biographies that you can use for promotional materials for your event. The world is more connected than ever before. But with that connection, comes a barrage of information that is hard to sort through from fact & fiction. In agriculture, we’re starting to see what that information can do to public trust, as more regulations & buyer demands are implemented, some of which aren’t any safer, but merely a nod to misunderstood public pressure. Something can be done. Something needs to be done. Public outreach through social media, dinner conversations, grocery check-out line thank-yous and more can all help. But you’ve got to stand up for your industry if you want to make an impact on your industry. Between blogs, photos, videos & podcasts, Andrew has the unique perspective of actually testing out agriculture advocacy projects and learning from them. From dealing with the mainstream media and animal rights activists, to working with heart-warming supporters and having impactful conversations, these are all key moments to help drive engaging advocacy. In this session Andrew will walk you through how various campaigns got started, the good & the bad along the way, and detail why positive perceptions are the key to getting through the social media minefield. When it comes to the food we put on our tables, or we order from a menu, there is one element that trumps almost everything else: Feel. We want to FEEL good about what we eat. Sometimes that means we want to feel good about the money we saved. Sometimes we want to feel good about the way an animal was treated. But at the end of the day, making sure your customers feels good about what they put in their mouth matter most. The latest research, marketing trends & consumer attitudes, along with what to do about it, are all contained in Feel Good Food. There is a new breed of farmer coming, and they mean business. 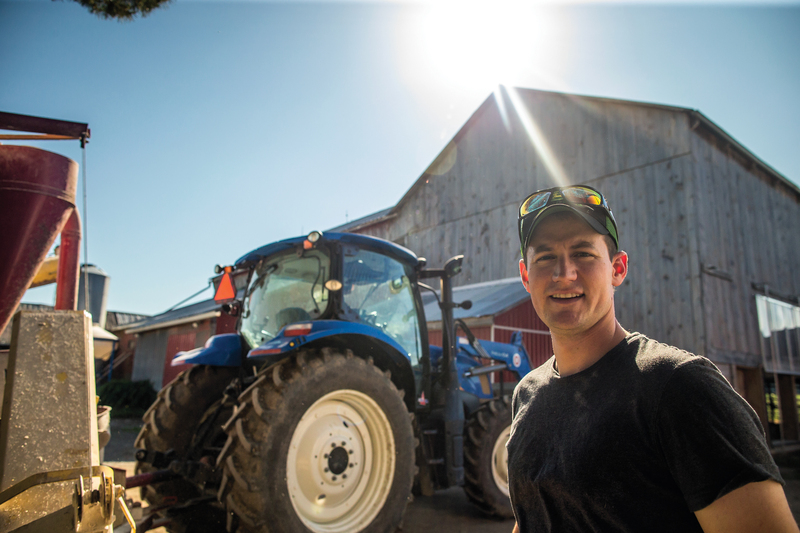 Recent surveys suggest half of today’s farmers will be selling out or passing the farm down to a younger generation in the next decade. From the eyes of a young farmer, this talk looks at how the next generation is about to do business, and what agri-businesses need to do, in order to attract and keep these savvy young customers. Fresh Air Media has had the pleasure of visiting with hundreds of farmers through video projects, written profiles and simple conversations to gain a better understanding of what this generation is thinking. Andrew will take you across the country to look at young farmers in all sectors to give you an idea of the common threads to connect each individual farm with each other. From the challenges, to their optimistic outlook, it’s time to take a tour. Andrew does custom keynotes to meet the needs of your staff and members. With a client list of national companies and organizations, connect to find out how his vibrant storytelling, combined with real world experience can keep your team engaged & entertained and raving about their experience at your event. 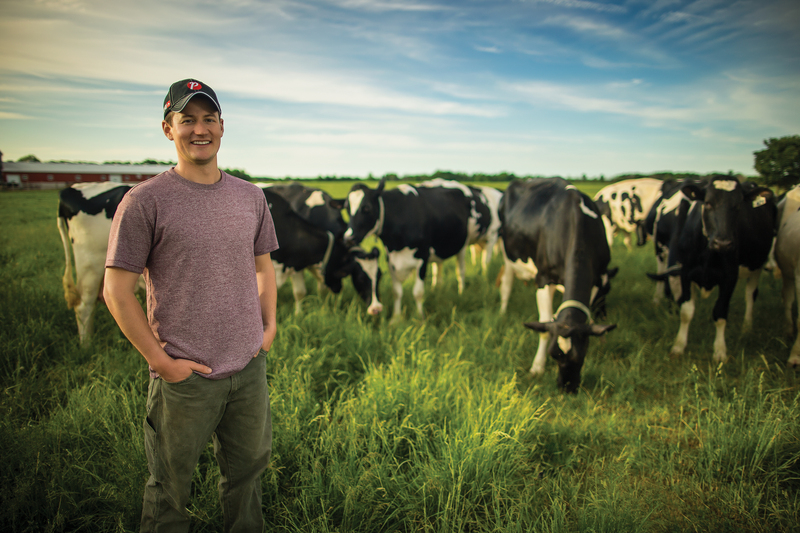 Over the last few years, Andrew has had the opportunity to find some successes & some failures when it comes to advocating on behalf of agriculture. Some are easy lessons. Some are more subtle. All of them, you can learn from. Whether it be dealing with activists, engaging with media, or building a following in the thousands, we’ll cover it all so you can help speak up on behalf the most important industry in the country. The world of communication is one that is rapidly evolving. It’s time to get caught up. This workshop covers the basic use of today’s most popular social networks and what they can be used for, and then more importantly get. Andrew does custom workshop and training programs to meet the needs of your staff and members. With a client list of national companies and organizations, connect to find out how his vibrant storytelling, combined with real world experience can keep your team engaged all day long, and leave feeling ready to make an positive impact. 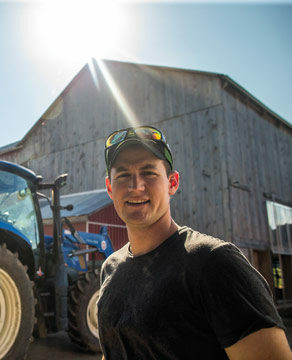 Andrew Campbell is a farmer, award winning communicator & passionate farm advocate. 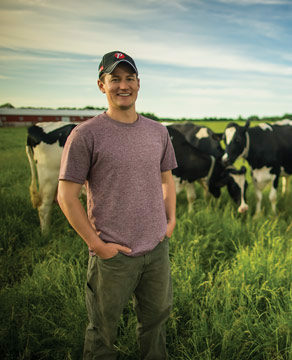 With the farm, he and his family milk cows as well as grow corn, soybeans, wheat & hay in Southern Ontario’s Middlesex County. 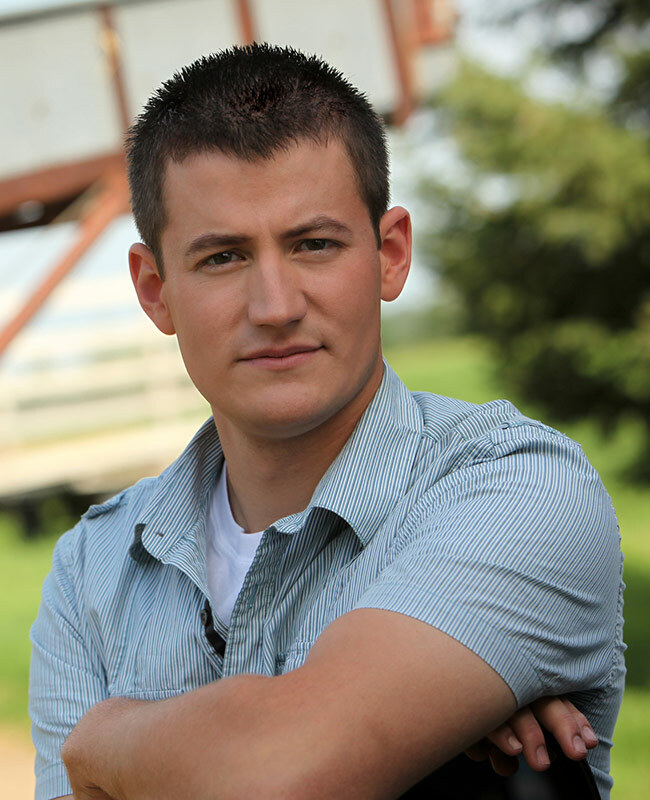 On top of farming, Andrew has become a familiar voice for farmers and agriculture issues in the mainstream media, conference halls & online, pushing the positive stories that farmers across Canada have to share with their non-farming neighbours. He’s received awards that have named in a Leader in Innovation, Champion, Game-Changer & Top Agriculture Influencer for his work through written word, photographs, videos and podcasts. You can find him on social media with the handle FreshAirFarmer, or by searching your podcast player for ‘Food Bubble’.